Icegram’s Inline & After Post optin forms are the coolest optins that fits perfectly wherever you want on your site-header, footer or within page content making your message less annoying and more seamless. Being a blogger or a marketer, your ultimate aim is to grow your newsletter subscribers. Icegram’s After Post & Inline Optin Forms are your best bet you would ever come across. 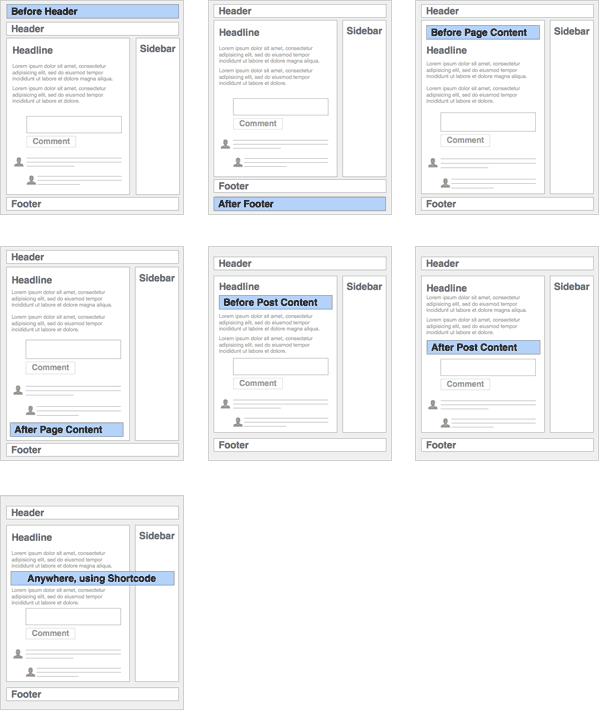 These optins can be embeded anywhere in your blog post- after/before content, within content. With a shortcode you can place them wherever you want. Visitor’s can’t escape your subscription form and call-to-action. Popups, action bars and messengers are great, but they are distinct from your site content. Inline messages occupy available width, do not have a “close” button and merge with the rest of your content. When someone is reading your blog post, giving them a newsletter subscription form at the end of the blog post is guaranteed to increase conversion rates because they have received value and will reciprocate by providing their email address. Positioning inline messages at appropriate places can give an instant boost to your engagement and conversions. We have all learnt to ignore advertisements and promotions. Typical ad network ads are surely ignored, but people have started ignoring even popups and other newer forms of promotional message delivery. Inline messages can be ads – or any other promotion – but don’t really look like one. Inline messages add-on gives you full control over their display location. We’ve already included the seven most common positions, and you can embed an inline message anywhere else using a short code. Inline add-on comes with four built in theme designs – Air Mail, Solid, Canvas and Bold. Use solid theme and use the same background color as your content’s (for example white) for the ultimate seamless design or pick a design that grabs attention while still being friendly! Since Inline is an Icegram message type add-on, you get all benefits of Icegram. Campaigns, targeting rules, display timing control, ability to use multiple messages together. You get it all! In short, Inline messages are easy on the eye but impactful on the mind! You can embed your subscription form anywhere on the blog post – after/before content or within the content. This ensures that your optin won’t feel like advertisement. Your main call-to-action will be in focus and visitor won’t mind to sign up for your list. Not only subscription forms, but you can also show your best offer to your audiences. Add images, customise the templates and make your inline so attractive that visitors can’t resist from clicking your offer. Icegram provides full flexibility to create, run and test unlimited Inline optins. Using our Analytics and Split testing feature, you can easily choose which of your Inline is performing the best compared to others. Display your Inline optins only to specific visitors from specific locations using our Geo-Targeting feature. Set rules as to when and whom to show the inline optin using timing controls and targeting. More than 60% of the time, people are hooked to their cellphones. Grab this opportunity to target Icegram’s Inline optins on mobile and tablets with all features and powerful targeting rules to gain maximum conversions.